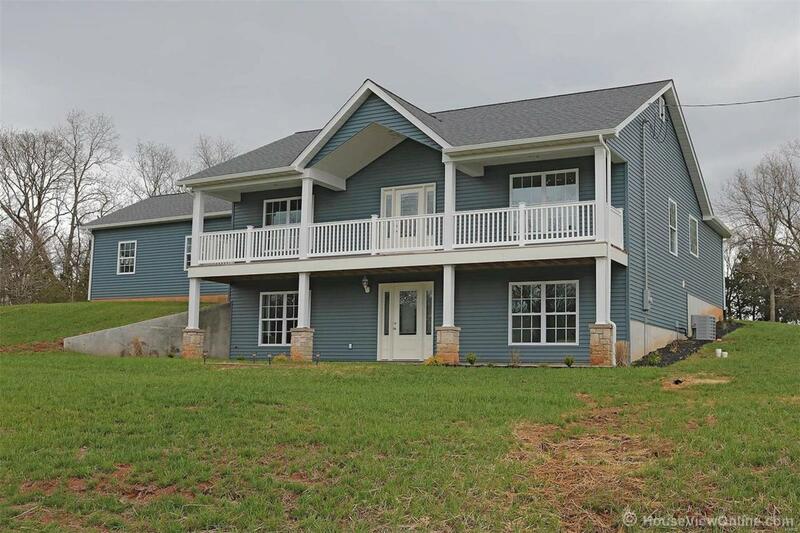 PRICE REDUCED ON THIS 4-BR, 3-BA NEW CONSTRUCTION IN TERRE DU LAC: Come and enjoy all that Terre Du Lac has to offer in your new home over looking Lakes Capri & Marseilles. If the view off the covered front deck doesn't sell you, the fact that you can walk out of the back yard onto Sky View Golf Course will. This new construction offers over 1900 sq. ft. of finished living space with a two car attached garage. The main level boast a beautiful master suite with two walk-in closets & large master bath. The open floor plan and vaulted ceiling make you feel right at home. If cooking is your thing, the kitchen would please any chef in the family with it's stainless appliances and center island. There are 3-BR's and 2 full BA's on the main level with an additional BR & BA suite in the lower level. The rest of the basement can be finished to your personal needs. Don't hesitate, come and enjoy the Terre Du Lac experience with it's 15 lakes, 2 golf courses, country club & much more.